Amazon.com Inc. said Tuesday that second-quarter earnings plunged nearly 58 percent as the online retailer focused on investing in a shipping deal and new technologies. The results sent Amazon.com shares down over 9 percent in after-hours trading. For the three months ended June 30, the Seattle-based company reported earnings of $22 million, or 5 cents per share, compared with earnings of $52 million, or 12 cents per share, in the same period a year earlier. In a conference call, Chief Financial Officer Tom Szkutak said net income was hurt by approximately $10 million because of the termination of a contract with Toys R Us Inc. Without that cost, Szkutak said the company would have earned about 7 cents per share for the quarter. Sales for the quarter were $2.14 billion, a 22 percent increase over the $1.75 billion a year earlier. The company said sales would have grown 23 percent if not for the negative effect of foreign exchange rates. Analysts polled by Thomson Financial were expecting second-quarter earnings of 7 cents per share on revenue of $2.1 billion. In a statement, Amazon.com Chief Executive Jeff Bezos said the company was focused on investing in Amazon Prime, which for $79 per year gives people unlimited two-day free shipping. The company also is investing in new technology, he said. 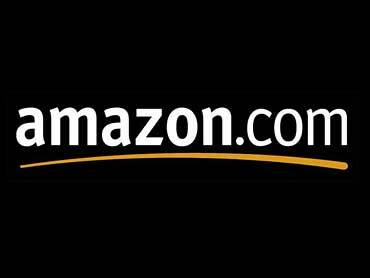 Amazon.com shares fell 72 cents or 2.1 percent to close at $33.59 in regular trading on the Nasdaq Stock Market. Results were released after the markets closed. In after-hours trading, shares were down an additional $3.27, or 9.7 percent. In the past 52 weeks, shares have traded between $31.52 and $50. For the current third quarter, Amazon.com said it expects net sales of between $2.17 billion and $2.33 billion. For the full year, the company is expecting sales of between $10.15 billion and $10.65 billion. Previously, it had forecast earnings of between $9.95 billion and $10.5 billion. For the six months ended June 30, profits were $73 million or 17 cents per share, compared with net earnings of $130 million, or 31 cents per share, in the first six months of 2005. Sales for the first two quarters were $4.42 billion, compared with $3.66 billion a year earlier.